This classical concert will explore the topic of Love – which is important for the month of February! Different pieces will capture different varieties of love: filial love, romantic love, friendship; different stages of love: from passion to separation, from youth to mature. This programme brings together well-known pieces from beloved composers such as Chopin, Liszt and Debussy, as well as lesser-known ones from female composers, including Clara Schumann born Clara Josephine Wieck, Virginie Tasset, Mélanie Bonis. Each piece will be introduced with background and analysis to allow the public to better live, grasp and appreciate the music. For those who have long loved classical music, to those who are new to it, this concert is accessible, engaging, and wholly romantic. 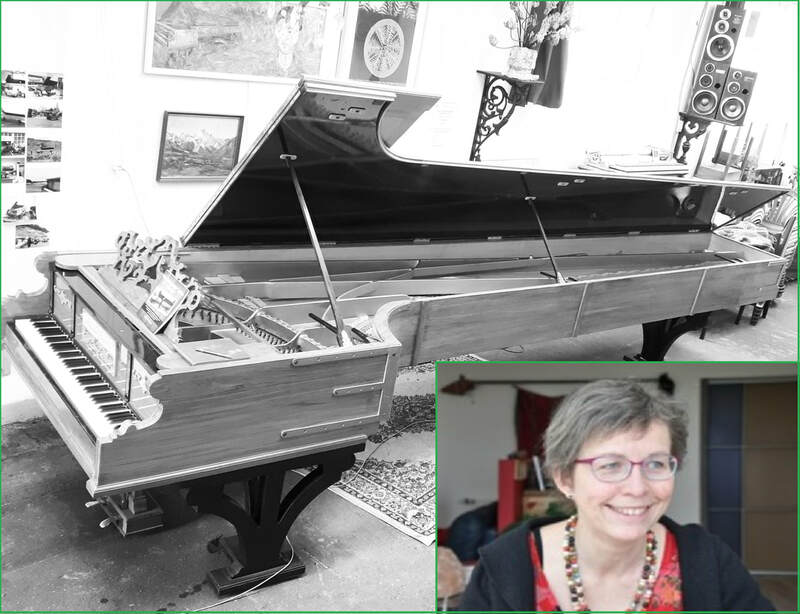 After graduating in classical piano from different music conservatories in Belgium and Spain, Catherine Geels became convinced that classical music concerts needed to change, to become more accessible to the public. She developed a style of ‘didactic concerts’ in Belgium and Spain, with presentations, analysis, and discourse throughout – bridging classical music to other arts such as poetry or cinema. 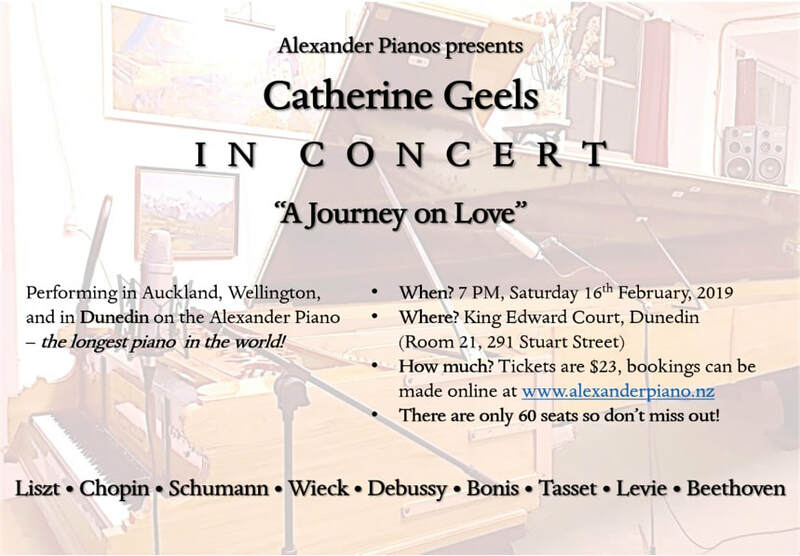 She is bringing her love of music to New Zealand to perform “A Journey on Love” throughout February 2019.